Today, I want to share a valuable business lesson I learned from one of my business mentors, Mike Dillard. This lesson pertains to selling and I have to tell you that the idea is absolutely life changing. When it comes to selling, it’s much better to be the hunted rather than the hunter. It’s much better to have prospects seeking you out than it is for you to chase people down, and try to sell, pressure and convince them to buy what you are selling. 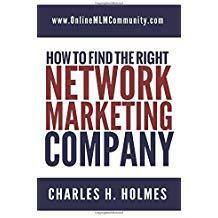 In most MLM Companies, you are taught to prospect everyone you meet, to make a name list of everyone you know, and to utilize the three foot rule. The key to success was to “work the numbers” and achieve success that way. By all means, you can follow that approach and still achieve great results in your business. Many people do that every single day. It’s a proven, time tested way of building a business. But, it’s definitely not the only way (or most effective way) to build a successful network marketing business. I agree with Mike Dillard that it’s much better to have people contact you first, about what you have to offer, than it is for you to chase people. I’d rather have two to five interested prospects reach out to me each day, than for me to personally prospect 100 people. You see, whoever initiates a conversation loses. When a salesperson calls you (cold calling or follow up) you are in the driver’s seat. You have control of the conversation because you can say no AND they need you to complete the sale. But when you call a salesperson, they have control, because you called them. Does that make sense? Once again, I think it’s much wiser to have two to five prospects contact you daily about what you have to offer than it is to cold call 100 people a day. I’m not saying you can’t achieve success by cold calling people, by prospecting strangers and family members, or by buying leads. You can. I just know that I have no desire to do that myself. If you want to have fun building your network marketing business, and have people chasing you, you need to learn how to become the hunted, not the hunter. In order to do that, you need to learn how to position yourself as an expert and get people to contact you first. There are many different ways to do that. Some of your options include creating YouTube videos designed to educate people in your target market, so they see you as an expert. You could also create a blog like I have and position yourself as an expert. In addition, you could write an eBook that you give away for free to use as a lead generator. Another simple way to become the hunted is to set up at trade shows, bazaars and events where people come to you! Once you get people contacting you, this business becomes fun! The stress goes away. Now, you might be thinking to yourself, I’m not an expert. I haven’t achieved success in MLM so why would people want to contact me first? The truth is you are good at something. I’m sure there is at least one aspect of MLM you are really good at, whether it be cold calling, prospecting, following up, doing in home parties, getting customers, using the phone, scripts, email marketing, setting up a capture page, building a blog, etc. I highly suggest you find the one thing you are best at and then focus on teaching that one thing to other people in our industry. For example, if you are good at writing email campaigns, you could become the MLM Email Campaign Expert and focus on teaching people everything you know about creating an effective email campaign. You could blog or have your own YouTube channel and provide tons of value to people in our industry. By doing so, some of these people will seek you out to hire you as a coach or call you to join your business opportunity and work with you. This is how you become the hunted, not the hunter! This is how you build your network marketing business with ease and attract the right people. No, it won’t happen overnight. It took me about five years to really master this skill-set, but once you get it down, life gets better! What are your thoughts? What do you recommend to become the hunted, not the hunter? Leave a comment below to let me know what you think. I look forward to hearing from you. When I first read what you were suggesting I was think that I don’t want to put myself out as an expert when I have not achieved the highest level in my company. However, you are right there are things I do well and well enough that my company chose me as a trainer for a couple of meetings so I just need more confidence in what I can do. Thanks for giving more detail on this. Now I see why Mike Dillard is a respected expert in the network marketing business. This is a different concept that non-MLM businesses do not follow. I like the concept of being pursued and not being the pursuer. Obviously this concept has worked for him, and I am glad to see that he is sharing what has worked successfully for him in this business with novices in this industry. When you get people to contact you first, you are in the driver’s seat. The best salespeople use that approach. Now I see why Mike Dillard is a respected expert in the network marketing business. This is a different concept that non-MLM businesses do not follow. I like the concept of being pursued and not being the pursuer. Obviously this concept has worked for him, and I am glad to see that he is sharing what he worked successfully for him in this business with novices in this industry.